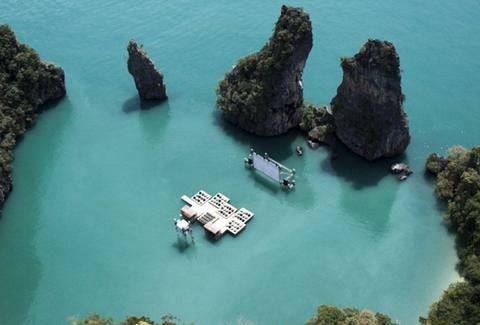 The one place in the world you can actually add sea salt to your popcorn, the Archipelago Cinema in the rocky lagoon of Kudu Island, Thailand is the only floating movie theater in the world, and therefore also the only movie theater where Water World makes sense. Crafted from rafts that local fishermen previously used to farm lobsters, the theater's base is made of wooden frames tied together by rubber straps. 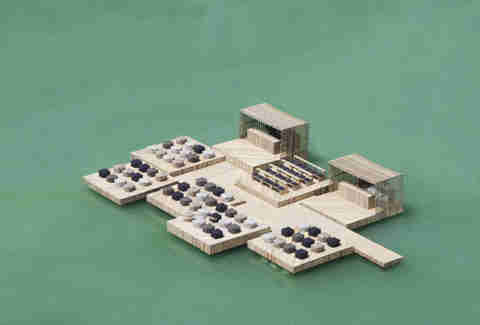 Underneath, buoyancy is provided by foam blocks wrapped in mosquito nets. 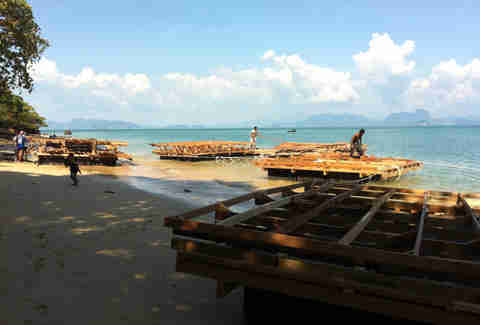 The inaugural event was known as the Film on the Rocks Yao Noi Festival, which is now an annual happening. 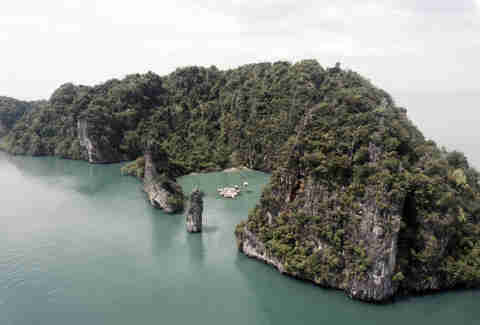 Wrapped like an amphitheater by a giant rocks formation in the archipelago of the Bay of Bengal, this might be the only time you'd rather not be on the set of the movie you're watching. 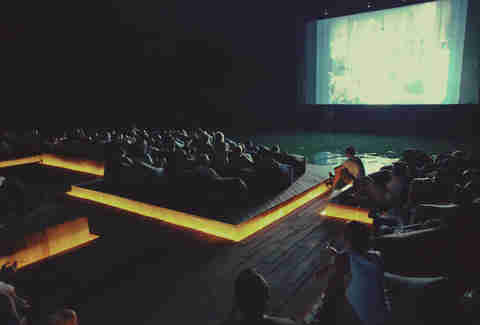 Arriving by boat in complete darkness, your movie tickets will be more like a ticket to paradise.